Illustration in ballpoint pen. 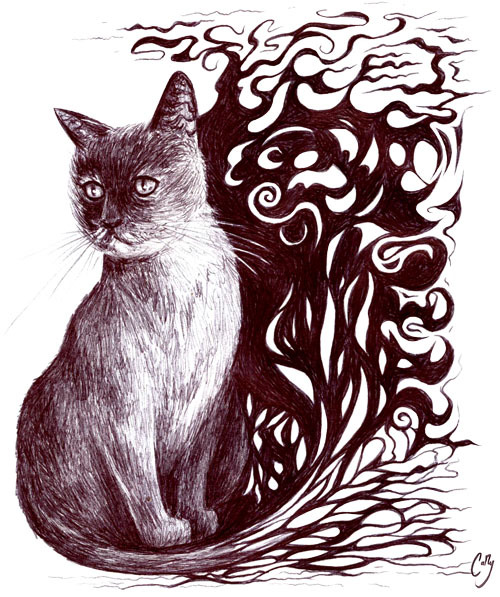 Fantastical portrait of the family cat, Gata. For a triple meme I did with my siblings.